EDITOR, JGEET. Cover JGEET Vol 03 No 03 2018. 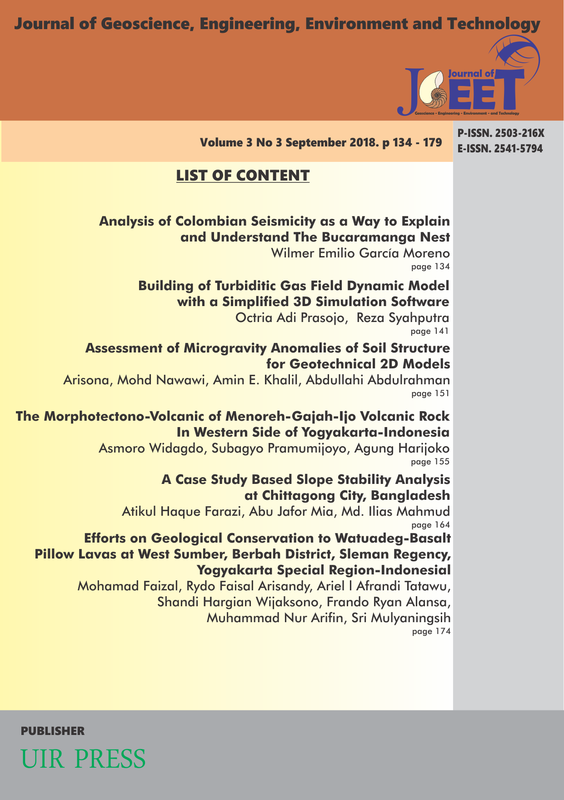 Journal of Geoscience, Engineering, Environment, and Technology, [S.l. ], v. 3, n. 3, sep. 2018. ISSN 2541-5794. Available at: <http://journal.uir.ac.id/index.php/JGEET/article/view/2177>. Date accessed: 20 apr. 2019.